Flip top style torch lighters have adjustable flame and are wind resistant. 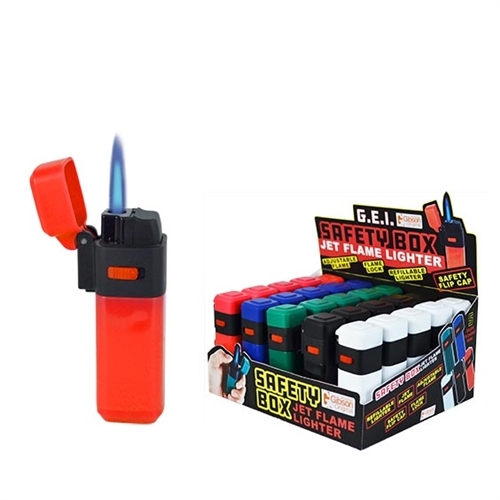 These unique torch lighters also have the benefit of flame lock, to keep the flame going. Each box has 30 refillable torch lighters in assorted colors.